For TALK International students, college is a time of wonder, new experiences, and lot of fun. College students may never again get the chance to do things that are crazy, out of the ordinary and memorable forever. 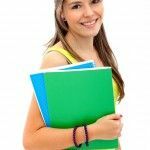 For college students, making a college bucket list is a great way ensure that you not only do you accomplish your study objectives, but that by the time you graduate you have also done all the other college-type things that you wanted to. Here are some fun and crazy college bucket list ideas to consider that make this unique period away from home truly amazing. Explore Campus Buildings: Most colleges always have a few buildings where students never seem to need to go or don’t know existed. Before starting your next life chapter, why not take the time to visit each building individually. These buildings could be the science labs, concert halls, auditoriums, or library stacks. Whatever building it is, at the end of time you can say to yourself that you have seen it all! Attend an Interesting Lecture: If your school permits it, why not attend a class that has nothing in common with your major. Large lecture classes are the best so you can blend in with the crowd. You never know – you may find you really enjoy a subject you had not before considered, and want to find out more about it. Go out Each Night for a Week: This challenge isn’t about partying; it’s about having fun with friends and seeing or doing new things. Try new restaurants, do karaoke, go dancing, roller skating – the possibilities are endless! Participate in Big Campus Events: When your college or university hosts a large event, why not get involved, especially if you are someone who usually doesn’t do this kind of thing. You will probably find that it is a whole lot of fun and often these events are also for a good cause. Walk across Campus at Night: On a Saturday or Sunday night, why not have a good friend to join you and walk around the campus in the dark. Try scaring one another or see if you can find your way around when it is really dark out there. Eat Late at the Cafeteria: If you have a 24 hour cafeteria why not go at midnight at least once during your stay and have a meal in the later hours. Enjoy any Free Campus Entertainment: Some colleges host free entertainment acts or shows from time to time, mostly on weekends. These events are fun and enjoyable, and allow you to see new people and meet new friends. If you haven’t gone to one before, why not give it a go! Make Friends with a Foreign Exchange Student: In college why not take the time to become friends with a foreign exchange student. This will not only be interesting and fun, but you may also make a lasting friendship! Visit Another College: Depending on the area you live in, you may be able to visit another college close by, and that is hosting some special event on a weekend. In doing this, you can meet and make new friends, and may experience a new and different college culture. Visit your College Town/City: If you are studying in a particular town or city, why not take the time to explore the city. By doing this you will be able to see and meet new people, experience new cultures, and see new attractions.